Can new phones and tablets put Nokia back on top? Nokia no longer holds the top spot in mobile hardware, but outgoing chairman Jorma Ollila thinks that the company could soon wind up back in the lead. In an interview with the Financial Times, Ollila teased Nokia's upcoming batch of devices and exclusive services, claiming that they're sure to "make a difference" in the company's fortunes. These devices include tablets, "hybrid" smart mobile devices, and handsets with "different form factors" from what's currently on the market. The figures Nokia recently released for their last quarter paint a grim picture. The company posted an operating loss of $1.76 billion, and sales are down. Samsung recently overtook Nokia as the top phone manufacturer, and the same report noted that Nokia actually makes more money from licensing its patents to Apple for use in the iPhone than from selling its own devices. 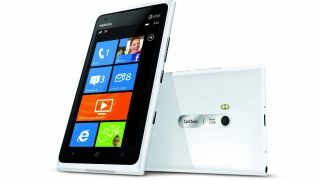 This despite the recent release of Nokia's Lumia 900 Windows smartphone, which has been met with a generally favorable reception - particularly outside the U.S. in areas like the UK. Perhaps in an attempt to replicate that revenue, Nokia recently filed 45 patent suits, against HTC and Viewsonic in the U.S. and HTC and Research in Motion in Germany, as well as a complaint against HTC with the US International Trade Commission. It's been rumored that Nokia is working on tablet that has yet to be released, but that could change as early as this year. Despite statements from Ollila, who's being replaced as Nokia chairman today by Risto Siilasmaa, the company is remaining secretive on the subject. Nokia spokesperson Karen Lachtanski told TechRadar that the company is "looking at the tablet space with interest," but that they "have no details or announcement at this time." Nevertheless, speculation holds that a Nokia tablet could arrive later this year alongside Microsoft's new Windows 8 OS. Details on Ollila's other claims, including new services, "form factors," and "hybrid" smart devices, are even more scarce. But Nokia's secrecy could well be in preparation for some kind of announcement, so keep an ear to the ground.